Lee Mead on the West End stage in Wicked at the Apollo Victoria, from 10 May 2010. 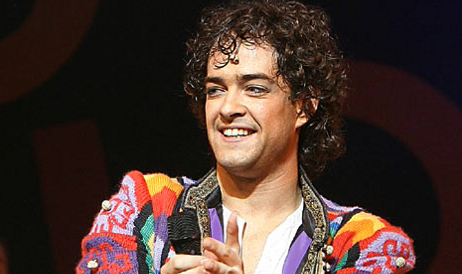 West End leading man Lee Mead is best-known for his victory in BBC One TV show Any Dream Will Do, where he won the role of Joseph in Joseph and the Amazing Technicolour Dreamcoat. Since then, Mead has gone on to play the title role in Oscar Wilde’s Lord Arthur Saville’s Crime and has since married and started a family with TV personality and stage actress in her own right, Denise Van Outen. He is now joining the cast of one of the most popular shows of all time and with both Mead and Wicked boasting huge fanbases, his run is sure to be a success. Buy your Wicked Apollo Victoria Tickets now! Wicked is back on top of TicketNews’s Top Events rankings for the week ending May 2. With a 5.25 power score, the musical knocks Lady Gaga from the top spot. Gaga’s 2.69 power score beats out Justin Bieber’s 2.57 power score. With a 36.22 power score, “Wicked” dominates the Top Theater Events. Jersey Boys (8.71) and Billy Elliot (6.88) follow. Lion King is number four (5.28) and Fences is number five (5.02). Green Day’s American Idiot makes the top ten at number eight (2.18), beating out both Chicago (nine, 1.74) and Peter Pan (ten, 1.47). “Wicked” (29.62) and “Jersey Boys” (10.33) also lead the Broadway top ten. The Addams Family is number six (5.39). A Little Night Music is still moving tickets, enough for the number eight spot (2.99). Closing out the Broadway top ten are Phantom of the Opera (nine, 2.43) and Mamma Mia! (ten, 2.40). TicketNews Exclusive Rankings and Power Scores are based on ticket sales from the TicketNetwork ExchangeTM, the world’s largest secondary market exchange. 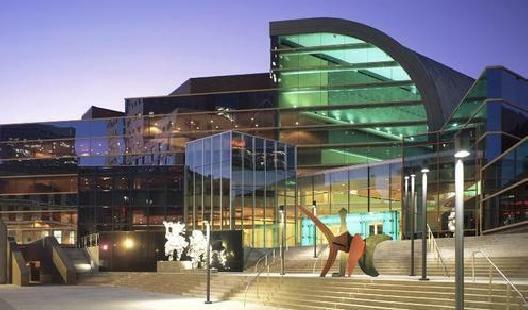 Wicked will be coming to the Bob Carr Performing Arts Centre in Orlando, Florida from February 23 – March 27, 2011. The 2011 Wicked Orlando cast includes Donna Vivino (Elphaba), Chandra Lee Schwartz (Glinda), Randy Danson (Madame Morrible) and Richard Kline (The Wizard). Buy Wicked Orlando FL Tickets Online.